Our preview tool is better than ever. Feel free to log in, and take a look. There is one feature of dotMailer that nearly everyone uses: whether you design with our drag and drop editor, or haven’t yet made the jump from Classic Editor; whether you’re creating a campaign or simply reviewing one – we all use the preview tool. This strips away all the editing guides and shows you your email as your contacts will see it. We offer test sends too, to get the campaign in your inbox, and we offer Inbox Tests through our partners at Litmus to show your email in dozens of inboxes – but the preview tool is instant. Up until now, it only showed what your email would look like on a typical desktop or laptop screen. As of today, you can see how your campaigns will display on mobiles and tablets too. Click on ‘preview’ anywhere in the app, and you’ll get to toggle between desktop, tablet and mobile views. You can even rotate the mobile devices, to test out portrait and landscape modes. Also new is the ability to see your campaign with images turned off. With email clients like Outlook and Gmail disabling images by default, it’s good to test that your key message still gets through. The ability to preview the email as a contact still exists, as does previewing a campaign with dynamic content – but the design has had a polish, and everything should be a little bit easier and simpler. If you’re an Internet Explorer user, I have some bad news. Although you’ll still benefit from the new Preview window, you won’t get the option to test on mobiles or tablets. Bona fide mobile-compatible campaigns use Media Queries, and IE doesn’t have great Media Query support. In fact, IE8 and below doesn’t support it all; IE9 and 10 do, but it’s patchy. All users of Chrome, Firefox, and Safari will get this (and these browsers are free, if you fancy a change). If you’re eager for more details, our help article elaborates a little more. Although the new tool allows you to instantly get previews across mobiles and tablets, it’s not a replacement for Inbox Tests. Previews are approximate – we’ve used ‘average’ screen sizes for the devices. 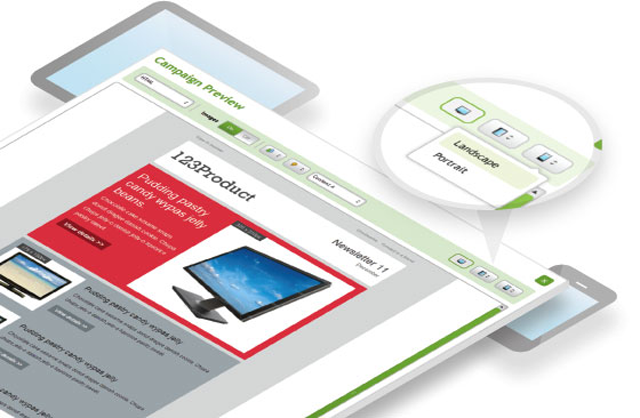 To see what your campaign will look like exactly on any particular device, send off an Inbox Test and await the results! The team is really excited about launching this feature. I hope you enjoy previewing in the new-and-improved tool, and would love to hear your comments and feedback in the comments below (we always read and reply to them). Your customers use mobiles to buy. Make sure it’s from you. If you’re not serving responsive emails, you’re not getting enough ROI from your email list. Find out what you need to know, to mobile optimise your email marketing.